Avery Library's photographs of McKim, Mead, and White's former Pennsylvania Station building are featured in the latest installment of the American Experience, a PBS series. 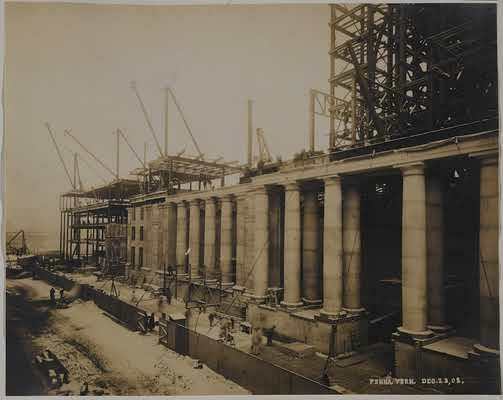 This installment, entitled "The Rise and Fall of Penn Station", includes photographs documenting the construction of the station that are now in the Avery Classics collection. These photographs are now also available on the program's interactive Engineering Map of America, a crowd-sourced project that documents historical engineering projects across the country. 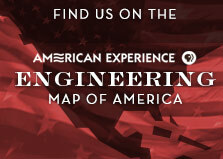 The program itself is also available to watch online (http://www.pbs.org/wgbh/americanexperience/films/penn/player/). This entry was posted in Avery Classics Collection, Avery in the News on February 21, 2014 by Ted.